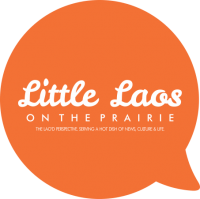 LLOTP is ringing in the new year today with the second post in the Lao New Year series by our guest blogger, Saengmany Ratsabout, who discusses the Lao diaspora community and our changing cultural traditions. Happy Lao New Year! In the late 1970s and early 1980s as Lao refugees resettled in the United States, the Lao New Year celebration became a tool of self-reflection and identity assurance. It served as an opportunity for the Lao to practice cultural celebrations and bestow their traditions to future generations. The sprinkling of water and well-wishes ceremony remains an integral part of the Lao cultural traditions. Cultural dances to songs such as ‘Champha Muang Lao” and “Tai Dam Lum Phan” speak to the yearning for Laos and the Lao lamenting their difficult journey from the homeland. As the Lao established communities in cities throughout the US, the celebration became not only an avenue of maintaining traditions, but also a way to pave new friendships. In an early New Year celebration, the Lao community of Worthington, Minnesota celebrated the event with its neighbors. Mayor Bob Demuth welcomed the celebration and exclaimed “We can no longer live in isolation from other people” and that “we must welcome them into our hearts, our minds and our home”. This sentiment is echoed by members of the Cultural Diversity Coalition in Worthington saying, “This will encourage people to develop new friendships and discover that as human beings we are more alike than different”. Sisoumang Rattanasitthi, a community leader and one of the organizers of the festival in Worthington was eager to share his reflections and thoughts of the celebration. “People look forward to the coming of the New Year in the hopes that they might escape the distress and misery and achieve contentment and happiness in the future.”. In the Lao American diaspora, Baci ceremonies within individual families, and adorning gifts to elders as a sign of respect and reverence, continue to be practiced, but are becoming more and more rare. This can be attributed to assimilation and the lack of knowledge and experiences of performing these rites. In the early 1980s, members of the Lao Community Reformed Church in Eagan, Minnesota celebrated Lao New Year during one of their Sunday Worships with cultural dances and performances along with a Baci Ceremony. Khamphot Siri-Outhay, a former Buddhist and who at that time was studying to be Protestant minister, led worship in Lao. Khambay Sivongsay, a Lao refugee who joined the church exclaimed that “We feel our church is like a family”. Thus, the New Year festivities continue to create and maintain the sense of community among Lao refugees of all faith. Each locale as well as various community organizations within that locale continue to host and institute their own New Year celebrations. In states like California and Texas with large Lao American populations and where the weather is warm, extravagant outdoors celebrations, many of which occur on Buddhist Temple grounds, fill the early spring air with colorful festivities. Traditional storytelling of the Jataka, fables and myths, the Lao opera performances (Mor Lum Leurng) full of humor and tragedy, make its presence during this celebration. Religious and cultural rites along with cultural performances are normally performed during this occasion as well. In Minnesota and many Midwestern states where winter can sometimes linger through April and May, Lao New Year is regularly celebrated indoors. New Year celebrations have endured some notable changes since the Lao resettled in the U.S. The acts reverence and well-wishes through the sprinkling of water has become a festival of water-battle with the use of water-buckets, water-hose, and even water-guns. Often times, pranksters substitute perfumed water with muddy water and other fowl-smelling substances. Fragranced powder used to sprinkle on heads and dabbed on faces for well-wishes are now substituted with whipped cream and shaving cream. Such actions has become such a nuisance that certain temples began banning the use of shaving cream and whipped cream as well as water-guns from its premises during the New Year festivities. Similarly, these changes are also occurring in the country of Laos concurrently. Vientiane Times reported that authorities have banned the use of colored, dirty, or iced water during the festival. The dumping of water from the back of pickup trucks has also been banned, as it could cause injuries and traffic accidents. The apparent changes of the New Year festivities, in particular the Nang Sangkhan appears to differ substantially from its traditional meanings and purposes. Many young people no longer wear traditional clothing and lack the understanding of the cultural rites and ceremonies. Culture is neither static nor monolithic and traditions are continually evolving. Cultural practices have also served as a power force in bridging generational gaps with refugee and immigrant communities. Despite its societal challenges, the Lao New Year festival continues to bring community members of all ages together. The question remains however, how will these practices continue to evolve and what role should it play in the twenty-first century Lao American community? Author’s personal accounts growing up in Sacramento, California in the 1990s. Communication posted on an internet forum “Lao Forum”.